Shown with #0513/S dining chairs in White leather and polished steel base - $ 895 ea. 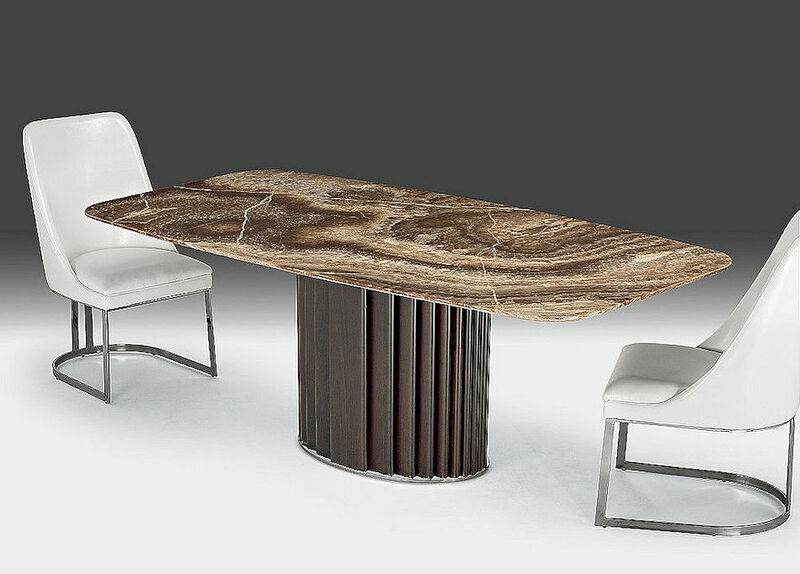 The table can be ordered in any stone. Made in Italy.